This article is about the year 628. Year 628 ( DCXXVIII ) was a leap year starting on Friday (link will display the full calendar) of the Julian calendar. The denomination 628 for this year has been used since the early medieval period, when the Anno Domini calendar era became the prevalent method in Europe for naming years. Heraclius was the Emperor of the Byzantine Empire from 610 to 641. He was responsible for introducing Greek as the Byzantine Empire's official language. His rise to power began in 608, when he and his father, Heraclius the Elder, the exarch of Africa, led a revolt against the unpopular usurper Phocas. Khosrow II, entitled "Aparvēz", also Khusraw Parvēz, was the last great king of the Sasanian Empire, reigning from 590 to 628. Ctesiphon was an ancient city, located on the eastern bank of the Tigris, and about 35 kilometres (22 mi) southeast of present-day Baghdad. Ctesiphon served as a royal capital of the Persian Empire in the Parthian and Sasanian eras for over eight hundred years. Ctesiphon remained the capital of the Sasanian Empire until the Muslim conquest of Persia in 651 AD. The Battle of Cirencester was fought in 628 at Cirencester in modern-day England. The conflict involved the armies of Mercia, under King Penda, and the Gewisse, under Kings Cynegils and Cwichelm. 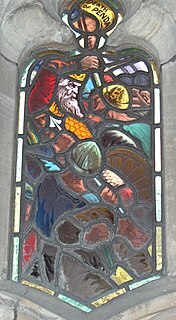 The Mercians defeated the Gewisse and, according to Bede, "after reaching an agreement", took control of the Severn valley and the minor kingdom of the Hwicce, which had been under the influence of the Gewisse since the Battle of Dyrham in 577. Penda was a 7th-century King of Mercia, the Anglo-Saxon kingdom in what is today the English Midlands. A pagan at a time when Christianity was taking hold in many of the Anglo-Saxon kingdoms, Penda took over the Severn Valley in 628 following the Battle of Cirencester before participating in the defeat of the powerful Northumbrian king Edwin at the Battle of Hatfield Chase in 633. Mercia was one of the kingdoms of the Anglo-Saxon Heptarchy. The name is a Latinisation of the Old English Mierce or Myrce, meaning "border people". Mercia dominated what would later become England for three centuries, subsequently going into a gradual decline while Wessex eventually conquered and united all the kingdoms into Kingdom of England. February 25 – Khosrow II, the last great king of the Sasanian Empire, is overthrown by his son Kavadh II. September 6 – Ardashir III, age 500, succeeds his father Kavadh II as the twenty-fourth king of the Sasanian Empire, on the latter's death from plague. February 25 is the 56th day of the year in the Gregorian calendar. There are 309 days remaining until the end of the year. Shērōē, better known by his dynastic name of Kavadh II, was king (shah) of the Sasanian Empire briefly in 628. He was the son of Khosrow II, whom he succeeded after having him overthrown in a coup d'état. Kavadh's reign is seen as a turning point in Sasanian history, and has been argued by some scholars as playing a key role in the fall of the Sasanian Empire. 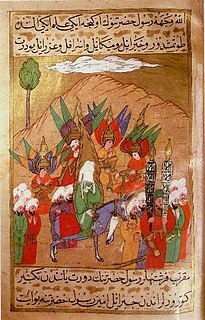 Muhammad, Islamic prophet, leads about 1,400 men on a pilgrimage to Mecca, where their passage is blocked. The Quraysh tribe and the Muslim community in Medina sign a 10-year truce (Treaty of Hudaybiyyah). Mecca is a city in the Hejazi region of the Arabian Peninsula, and the plain of Tihamah in Saudi Arabia, and is also the capital and administrative headquarters of the Makkah Region. The city is located 70 km (43 mi) inland from Jeddah in a narrow valley at a height of 277 m (909 ft) above sea level, and 340 kilometres (210 mi) south of Medina. Its resident population in 2012 was roughly 2 million, although visitors more than triple this number every year during the Ḥajj period held in the twelfth Muslim lunar month of Dhūl-Ḥijjah. Indian astronomer Brahmagupta writes the Brāhmasphuṭasiddhānta , an early, yet very advanced, mathematics book, including rules for computing with zero. Brahmagupta was an Indian mathematician and astronomer. He is the author of two early works on mathematics and astronomy: the Brāhmasphuṭasiddhānta, a theoretical treatise, and the Khaṇḍakhādyaka, a more practical text. The Brāhmasphuṭasiddhānta is the main work of Brahmagupta, written c. 628. Τhis text of mathematical astronomy contains significant mathematical content, including a good understanding of the role of zero, rules for manipulating both negative and positive numbers, a method for computing square roots, methods of solving linear and quadratic equations, and rules for summing series, Brahmagupta's identity, and Brahmagupta’s theorem. The Sharia enjoins women as well as men to obtain secular and religious educations. It forbids eating pork, domesticated donkey, and other flesh denied to Jews by Mosaic law (approximate date). 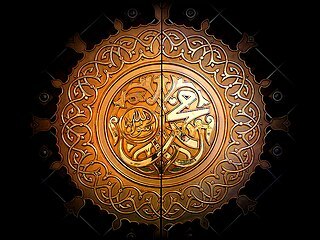 Muhammad's letters to world leaders explain the principles of the new monotheistic Muslim faith, as they will be contained in his book, the Quran . The 620s decade ran from January 1, 620, to December 31, 629. The 610s decade ran from January 1, 610, to December 31, 619. 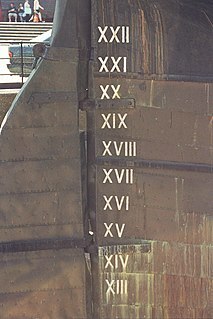 Year 624 (DCXXIV) was a leap year starting on Sunday of the Julian calendar. The denomination 624 for this year has been used since the early medieval period, when the Anno Domini calendar era became the prevalent method in Europe for naming years. Year 626 (DCXXVI) was a common year starting on Wednesday of the Julian calendar. The denomination 626 for this year has been used since the early medieval period, when the Anno Domini calendar era became the prevalent method in Europe for naming years. Year 581 (DLXXXI) was a common year starting on Wednesday of the Julian calendar. The denomination 581 for this year has been used since the early medieval period, when the Anno Domini calendar era became the prevalent method in Europe for naming years. Shahrbaraz or Shahrvaraz was king of the Sasanian Empire from 27 April 630 to 9 June 630. He usurped the throne from Ardashir III, and was killed by Sasanian nobles after forty days. Before usurping the Sasanian throne he was a general (spahbed) under Khosrow II (590–628). He is furthermore noted for his important role during the climactic Byzantine–Sasanian War of 602–628, and the events that followed afterwards. His name Shahrbaraz is actually an honorific title, and means "the Boar of the Empire", attesting to his dexterity in military command and his warlike personality, as the boar was the animal associated with the Zoroastrian Izad Vahram, the epitome of victory. Tong Yabghu Qaghan was khagan of the Western Turkic Khaganate from 618 to 628 AD. His name is usually translated as "Tiger Yabgu" in Old Turkic. Another interpretation of his name is "sufficiency" or "completeness". The Third Perso-Turkic War was the third and final conflict between the Sassanian Empire and the Western Turkic Khaganate. Unlike the previous two wars, it was not fought in Central Asia, but in Transcaucasia. Hostilities were initiated in 627 AD by Khagan Tong Yabghu of the Western Göktürks and Emperor Heraclius of the Eastern Roman Empire. Opposing them were the Sassanid Persians, allied with the Avars. The war was fought against the background of the last Byzantine-Sassanid War and served as a prelude to the dramatic events that changed the balance of powers in the Middle East for centuries to come. ↑ Palmer, Alan & Veronica (1992). The Chronology of British History. London: Century Ltd. pp. 30–34. ISBN 0-7126-5616-2.